Set in 1.4 hectares of beautifully landscaped gardens, La Bergerie is a truly spectacular French holiday location within the exclusive Golf Resort of Terre Blanche. • The villa is constructed using only the highest quality materials and contemporary furnishings. • The kitchens are equipped with the best in professional appliances. This really is a very special French villa that enjoys a prime position close to both Cote d’Azur and Provence with unobstructed views and total privacy and private landing facilities. 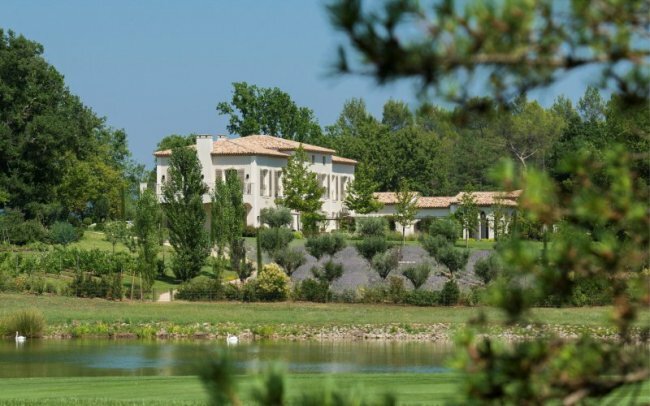 The Terre Blanche Golf Resort is in Tourrettes, only minutes away from the historic perched villages of Fayence, Seillans and Caillian nestled within the South of France. This is an area renowned for its outstanding natural beauty and which typifies the peace and tranquility of Provence, yet is only 30 minutes from Cannes and its beautiful beaches. The facilities offered within the resort are accessible at usual Resort rates and include a world class golf course and spa, as well as the fabulous Terre Blanche Hotel, a member of the Leading Hotels of the World. Sun-filled private lounge area with a feature fire place and direct access to the private gardens.